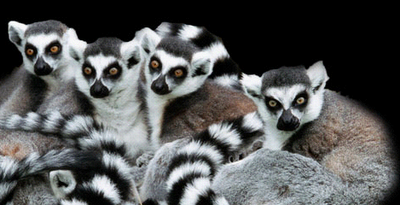 Remarkable Marketable Me: Lemurs ~ We are getting very excited about our new residents, 5 Ring-tailed lemurs, that are coming to CARE very soon! 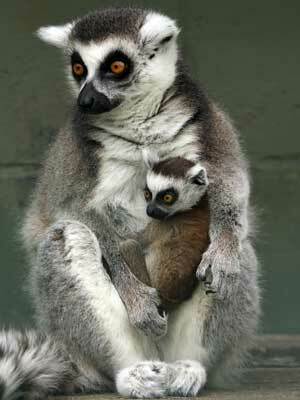 Lemurs ~ We are getting very excited about our new residents, 5 Ring-tailed lemurs, that are coming to CARE very soon! Click on the link above to see the CARE Blog ! are coming to CARE very soon! We have had a lot to do in order to prepare for their arrival, including research, raising funds to buy materials for their enclosure and building the habitat that will be their new home at CARE. We also wanted to offer up a great opportunity to people who were interested in adopting a lemur. 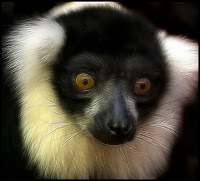 The normal monthly donation for a lemur adoption will be $50. However, for anyone willing to donate $500 up front to help pay for the initial materials and construction, will not only have their adoption paid in full for the year, but will be able to NAME their lemur! How exciting is that? Four of the five lemurs have already been adopted. But, we still have one more that needs a loving parent(s). If you are interested in adopting the remaining lemur, please contact us. The lemur enclosure is really coming along as well. The main structure has been completed and fencing is being put up. 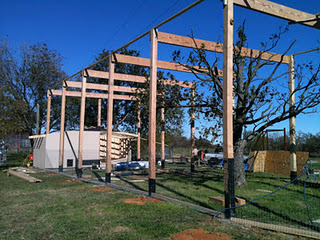 The indoor housing structure that will be heated to keep the primates warm during the colder months is almost done. We are still working on installing platforms, nesting areas, and lots of ropes for them to swing on. Due to overwhelming amount of work that had to be done in a very short time period, the lemurs’ arrival has been delayed a week. They are now scheduled to arrive on the 13th. You can see some our progress on the habitat in the pictures below. We still have a lot to do, and the lemurs are coming so soon, so please let us know if you can help. We can use as many hands on deck as possible to make sure that these cute little guys have the best home possible! 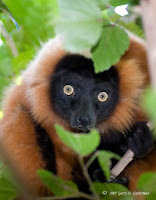 There are many wonderful facts about the Lemur that you may be interested in learning about. They can help you to have a new appreciation for these delightful animals. 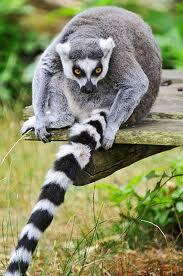 The Lemur is a native of Madagascar. 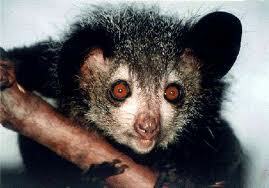 They are also found at Comoro Islands. 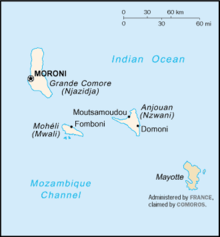 The Comoros Islands (Shikomori Komori; Arabic جزر القمر Juzur al-Qamar; French Les Comores) form an archipelago of volcanic islands situated off the south-east coast of Africa, to the east of Mozambique and north-west of Madagascar. 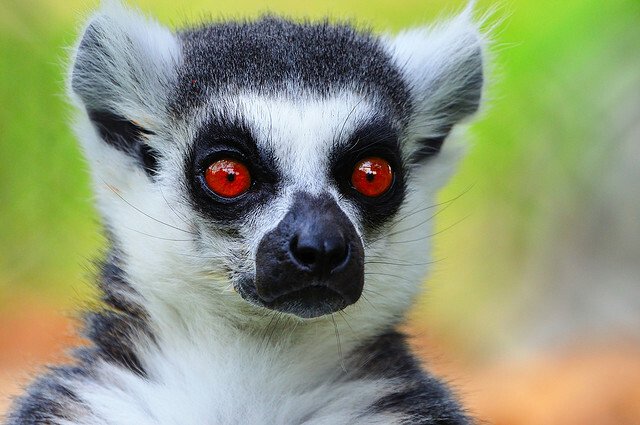 The word Lemur is Latin and means spirits of the night. 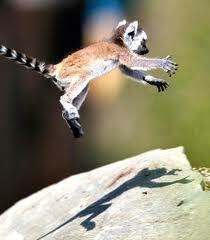 There are many legends throughout cultures that talk about the Lemurs being active at night. They are nocturnal. Lemurs are a type of primate known Prosimians. This means ape! They are considered to be the type of primate at the highest risk of extinction. 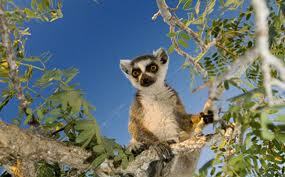 There are many different species of Lemurs. 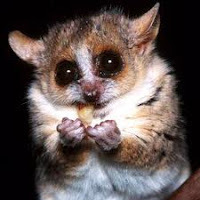 They include the Alatron Gentle Lemur, Aye- Aye Lemur, the Indri Lemur, Black and White Ruffled Lemur, Red Ruffled Lemur, and the Ring Tailed Lemur.The smallest species of Lemur weights about 10 grams. The tail is often longer than the body. They have opposing thumbs. They also have long toes. They use them for climbing and for holding on. They don’t have claws either. Instead they have nails. 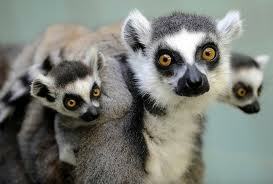 They don’t see very well in color but they do have good vision overall.Most Lemurs live all their life in trees. However, many of the larger species also live on the ground. It isn’t unreasonable to see some species of Lemurs active during the day. 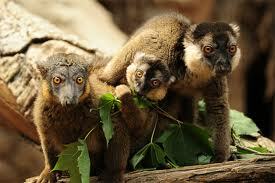 The Lemurs are very social and the live in family groups. Females have dominance over the male Lemurs. The approximate life span of a Lemur in the wild is about 18 years.Several species of Lemurs are currently at risk of being extinct in the near future. Even with conservation efforts there continues to be serious barriers to protecting them.In some areas the Aye Aye Lemurs are trapped and killed. This is due to the fact that locals believe they are a bad omen and linked to evil spirits.The largest Lemur species is the Indri and they can weigh as much as 15 pounds. The Dwarf Mouse Lemur is the smallest of all.Most Lemurs in the world live on Madagascar Island. 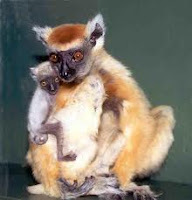 More than half of all baby Lemurs will die before they are mature which occurs at 2 years of age. 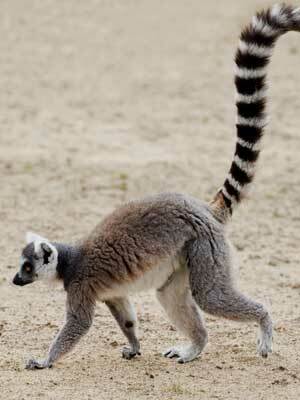 The Lemur isn’t able to hang from the tail but that is a common myth that continues to circulate. The Indri Lemur doesn’t have a tail – this is the only species without one. That is why so many people don’t recognize it as a Lemur when they see one. Grooming and socializing is a huge part of the family life for the Lemurs. The young will be carried around in their mother’s mouth for a couple of weeks after birth. Once they are strong enough they will hold onto her back and be carried around. The two sources of communication between Lemurs include vocalization and scent markings. They are able to identify distinct family members through the scent they release. You will find many stories about Lemurs in Roman Mythology. Some of the stories portray them as good spirits. Others portray them as something that should be considered evil and be avoided.Some Lemurs hibernate when there isn’t any food around in given seasons. This is to help them be able to survive those harsh conditions without threats of them dying. Lemurs seem to do very well in captivity. Part of having them on display is to help people to see them in to recognize their needs. Yet they are mainly nocturnal you so may only get to see them sleeping. 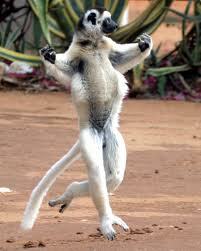 The Verreaux's Sifaka Lemur is medium in size when compared to other species. 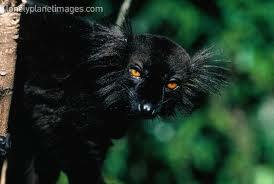 It is a primate and looks very similar to many small species of monkeys. As a result it is usually accurately categorized as a primate. Great information on the lemurs.